Summer is officially over, and it’s time to move from barbecues and pool parties to football games and chili cook-offs. The leaves are changing colors, the air is turning crisp, and pumpkin spice is everywhere. As we prepare our wardrobes and our social calendars for the colder months ahead, we also need to take the time to prepare our homes for the harsh winter weather. Extreme temperatures, ice, and snow can wreak havoc on outdoor decks and create major problems in future seasons. By properly winterizing your deck now, you can protect it from the damage that come from ice, snow, sleet, and prolonged moisture. The first step to winterizing your deck is to make sure it has been properly and thoroughly cleaned. That means removing dirt, mold, and mildew, as well as all of those pesky barbecue stains. 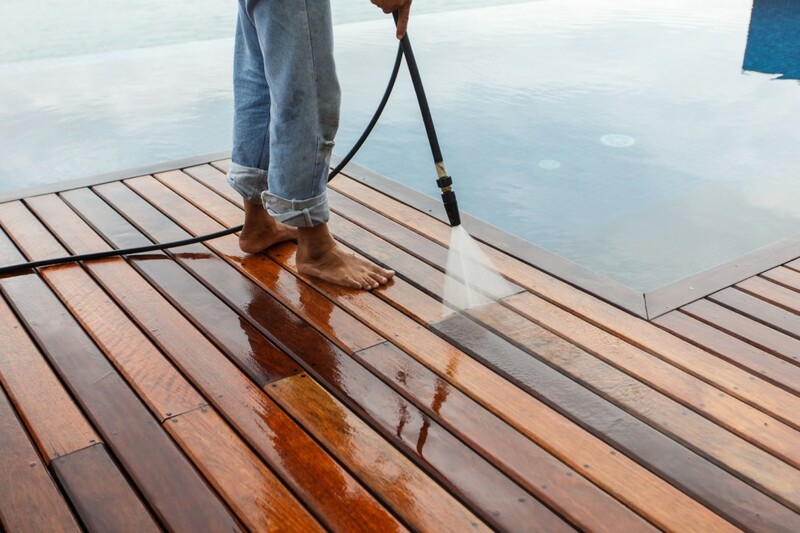 You can use a pressure washer to remove dirt and stains from your deck. If you opt to pressure wash, be sure to do so carefully since pressure washers can scar the boards or splinter the wood if used improperly. Make sure you thoroughly sweep the area first and remove any debris, then pressure wash on a weak to medium setting. Maintain a distance of several feet between the spray and the deck and keep the distance and speed consistent throughout the process. You can also clean your deck using a specialized deck cleaning product. 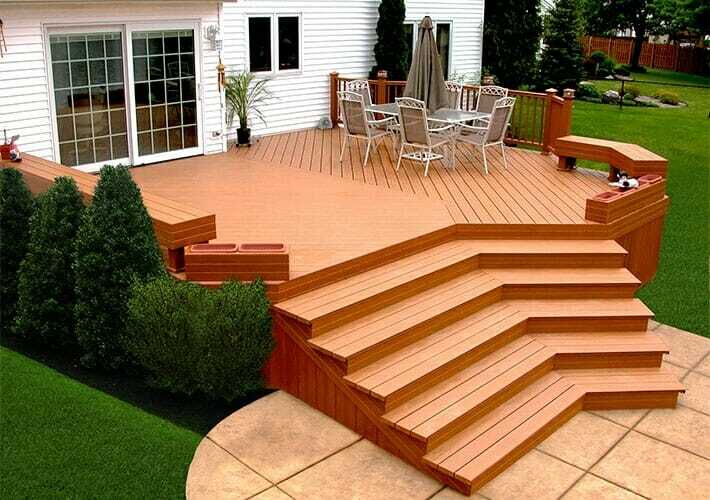 Make sure to purchase a product specifically designed for your type of deck. 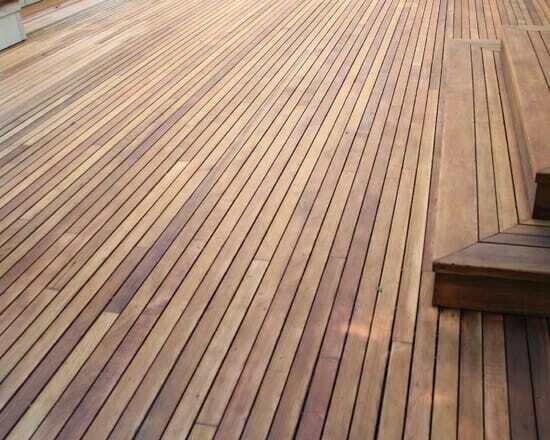 Wood deck cleaners can be made with or without bleaching agents. If your deck has a high level of staining or graying of the wood from age, you may want to use a bleaching product to lift dirt and stains and lighten the color of the wood. However, keep in mind that over-bleaching the wood can cause yellowing over time. Most deck-cleaning products are applied to a wet deck and left to sit for about 15 minutes before being thoroughly rinsed off. Your deck will need 24 hours to dry thoroughly before moving on with the winterizing process. If your deck has any faded or deteriorating patches of paint or stain, you should strip the finish in those areas before moving on to the sealing stage. Use a product like Wolman DeckStrip® Stain & Finish Remover to remove deteriorating finish and prepare your deck for a fresh coat of sealant. It’s important to strip and restore your deck before adding sealant to ensure that the new stain adheres properly to the wood and applies evenly. The most important part of winterizing your deck is adding a water-repellant stain. This will protect your deck from rain, sleet, snow, and ice, which can cause warping and cracking from prolonged exposure to moisture—and eventually, decay. There are specific stains designed for different deck materials, so be sure to use a stain that suits your deck. Look for a stain with good longevity—a high-quality stain will protect your deck from the elements for up to three years. The fastest and easiest way to apply the stain is with a paint sprayer. Spray evenly on a non-windy day, maintaining consistent distance and spraying speed. Allow the stain to dry completely before replacing any furniture or decorations. Your deck is an investment in the overall value of your home, and taking the time to winterize your deck before the cold weather hits will help you protect that investment for years to come.